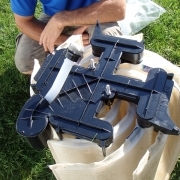 Problems and Solutions Filtration System | APCO Pools Specialties, Inc. 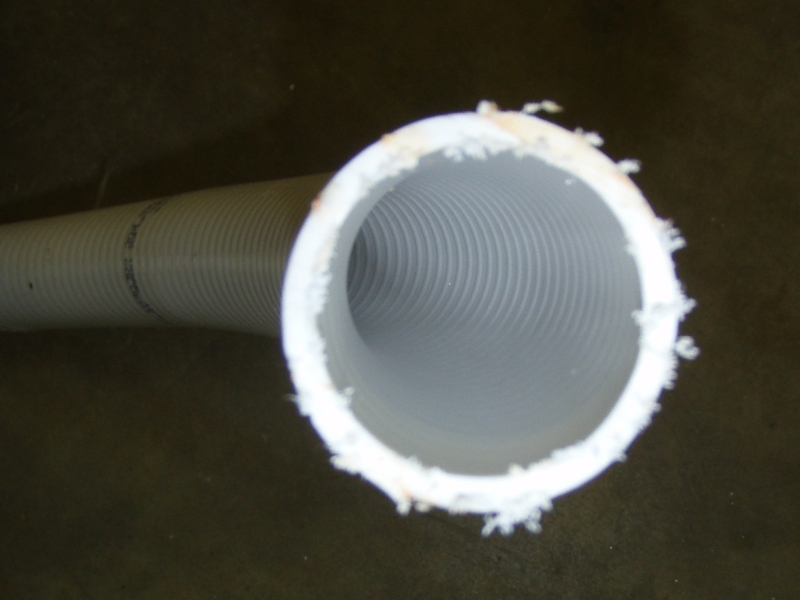 Problem - DE Filter clogged with DE powder making it impossible for the water to filter through. 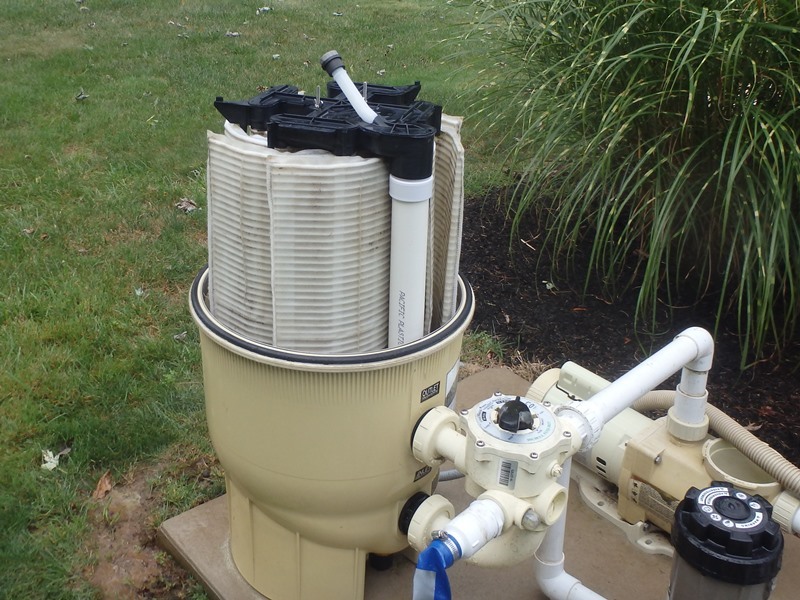 Note: After back washing and re-adding the DE powder and your filter gauge is still high, clogged grids may be the reason why the pressure did not decrease. 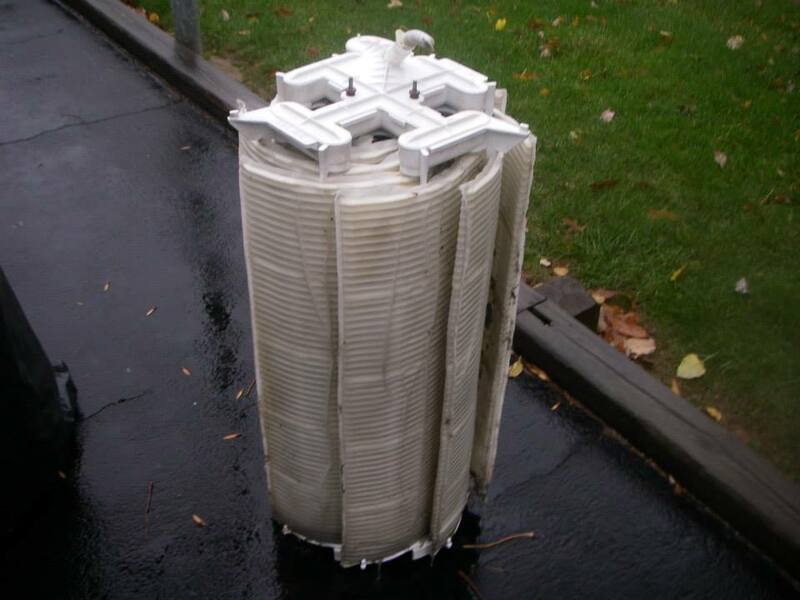 Solution #1 - DE Filter Clean Out APCO crew member will open the filter and clean the grids. Note: This procedure is no longer offered at the same time the opening is scheduled. 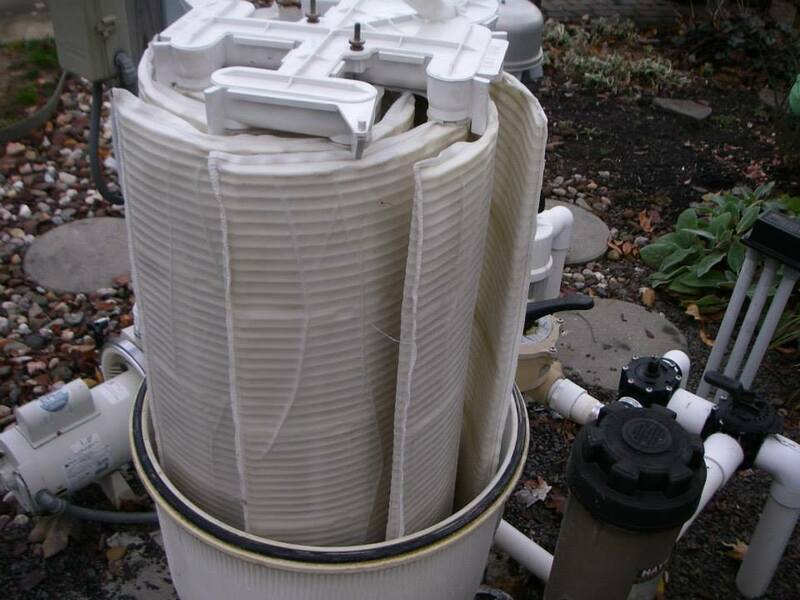 Solution #2 - DE Filter Clean Out and Chemical Cleaning. 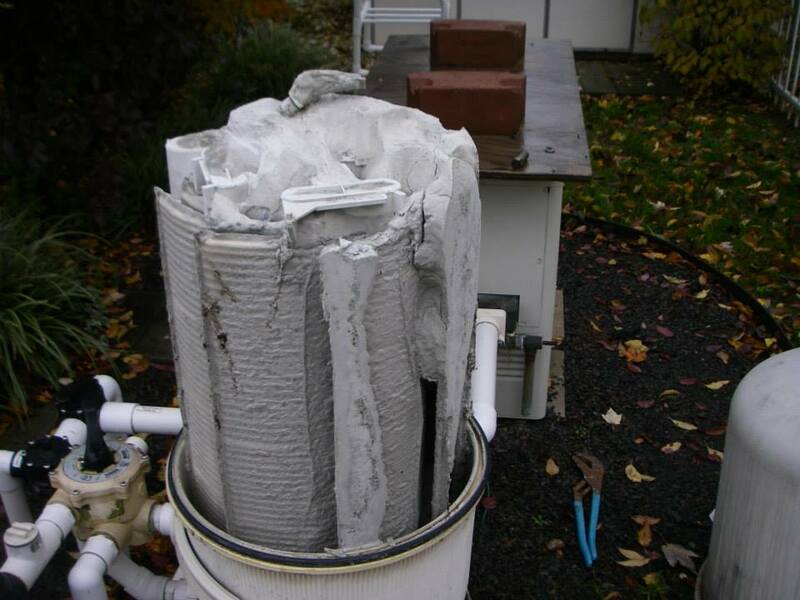 APCO crew member will open the filter and clean the grids with a hose. 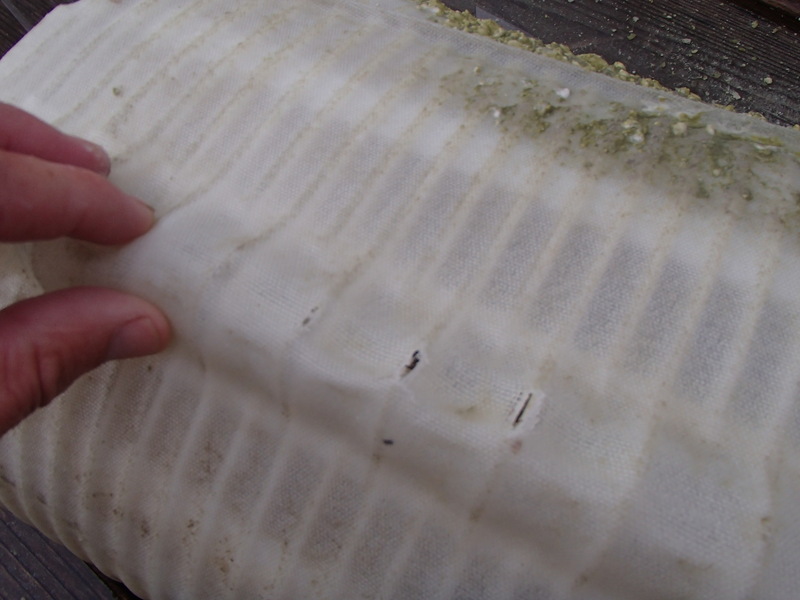 Also, the grids are brought back to our facility and the grids are cleaned with a degreasing agent to remove lotions, oils, and make- up. 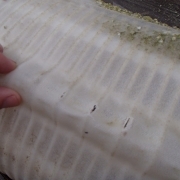 The grids are then cleaned with a mild acid soak. Note: This procedure is not offered in the opening season. 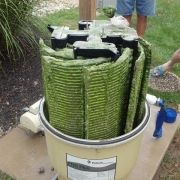 Problem: Filter clogged with live algae. 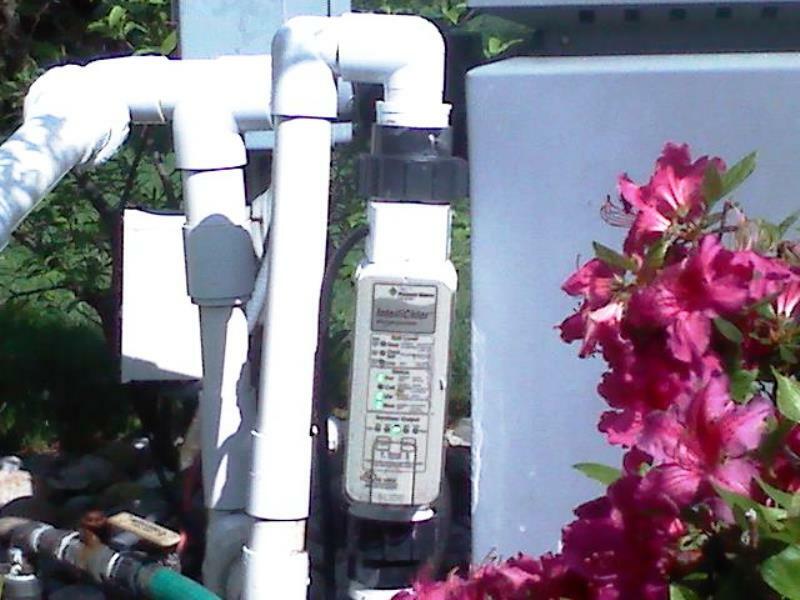 Solution - Shut off filtration system. 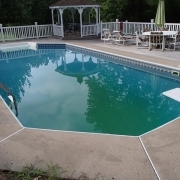 Add enough liquid chlorine or chlorine shock to kill all of the algae until it turns a milky white. 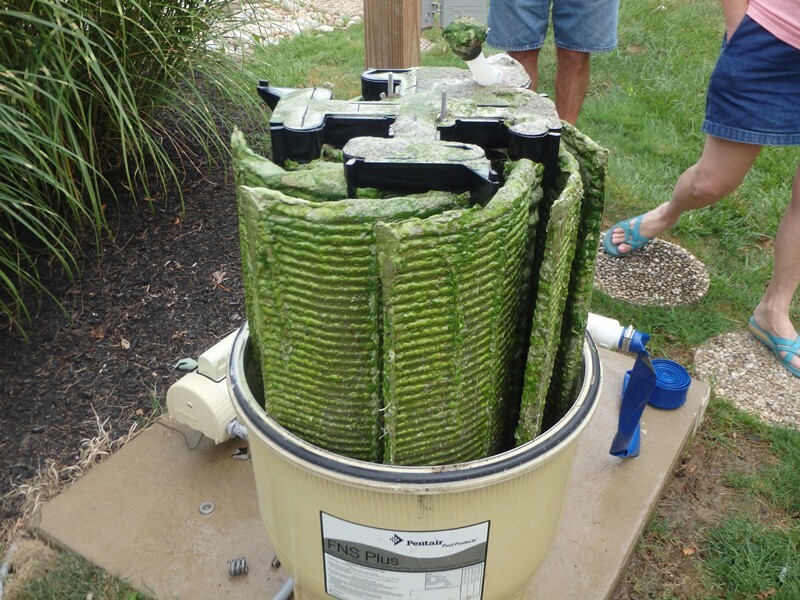 Dismantle and thoroughly clean the insides of the filter to avoid feeding algae back into the pool. 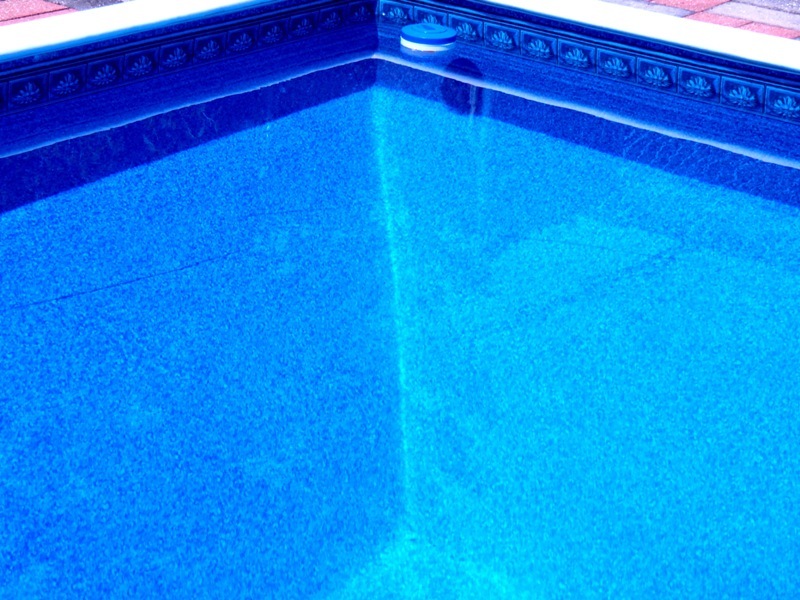 Problem - DE powder on the floor of the pool. 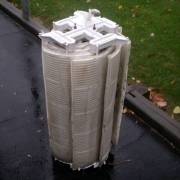 The inside of the filter may have mesh grids, typically eight of them. 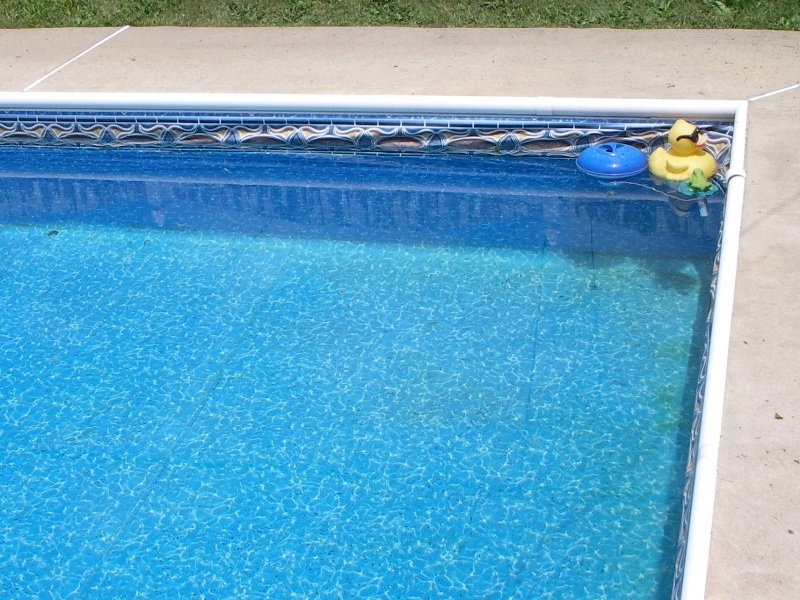 If the grids have a hole in just one of them, the powder can pass through the hole, enter the pool through the returns, and end up at the bottom of the pool. 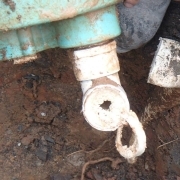 The manifold that holds the grids or the air bleeder valve can also have a crack in it allowing the DE powder to pass through. 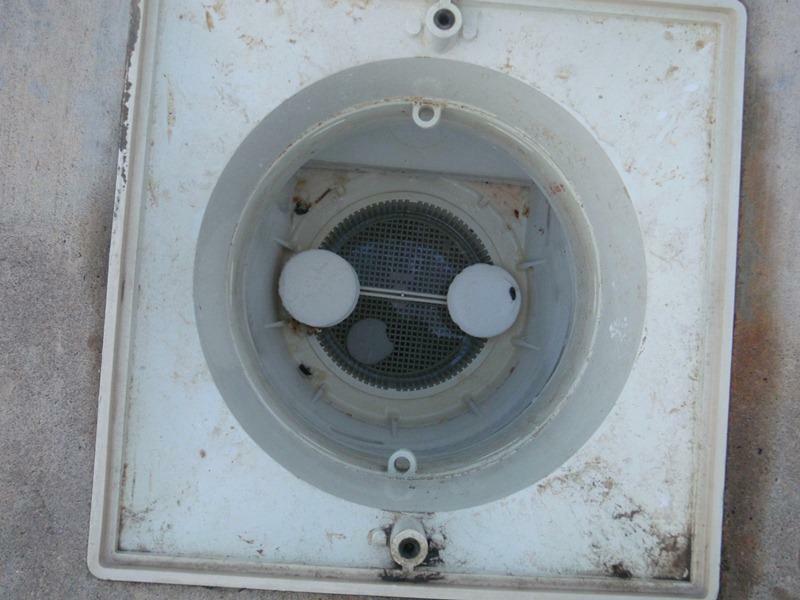 Solution - DE Filter Clean - Out and grid assembly inspection. 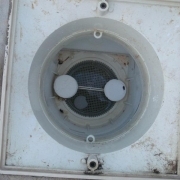 Grids get damaged over time. 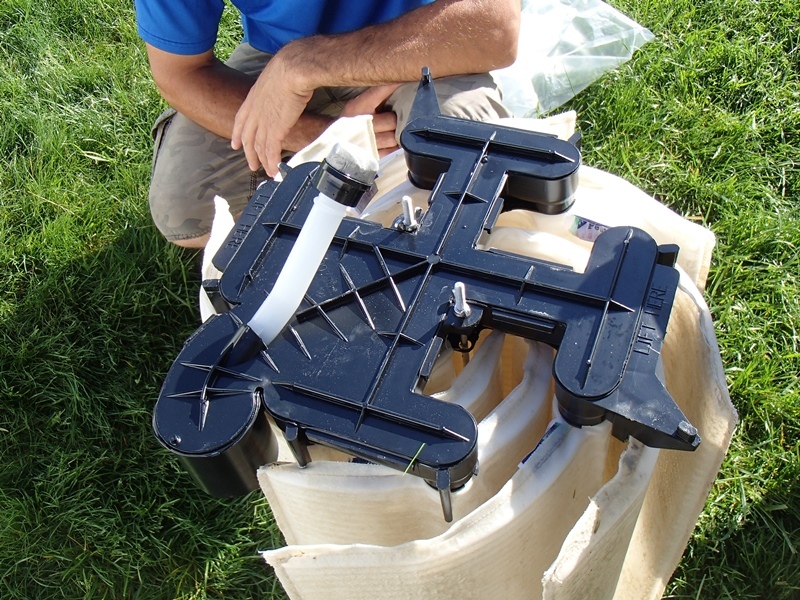 Depending on the age of the grids, it may be more cost effective to replace all the grids instead of 1 at a time. 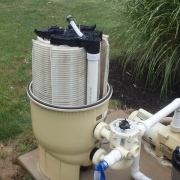 Problem #3: Damaged air bleeder valve from inside the filter. 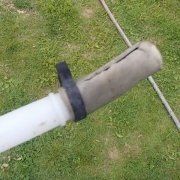 Problem - Cracked Manifold in DE Filter. 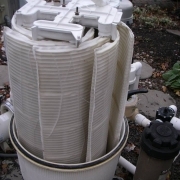 The manifold inside the filter holds the grid assembly. 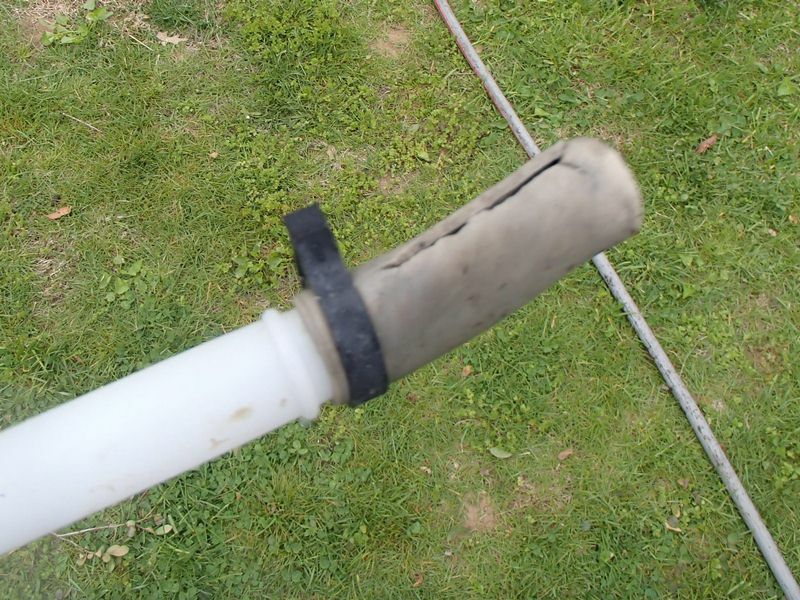 A cracked manifold will allow DE powder and dirt to bypass the filter and enter into the pool through the returns. 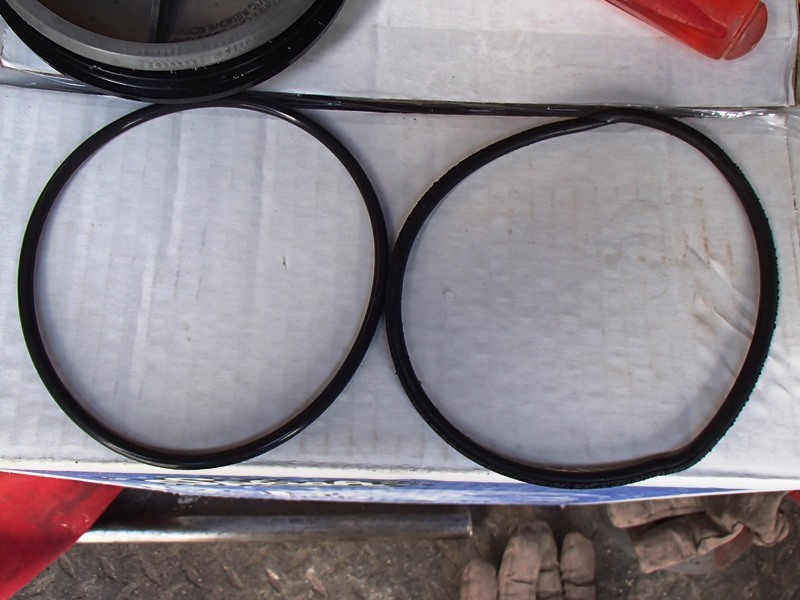 Solution - Replace Manifold The grid assembly inside the filter would need to be taken apart and cleaned. 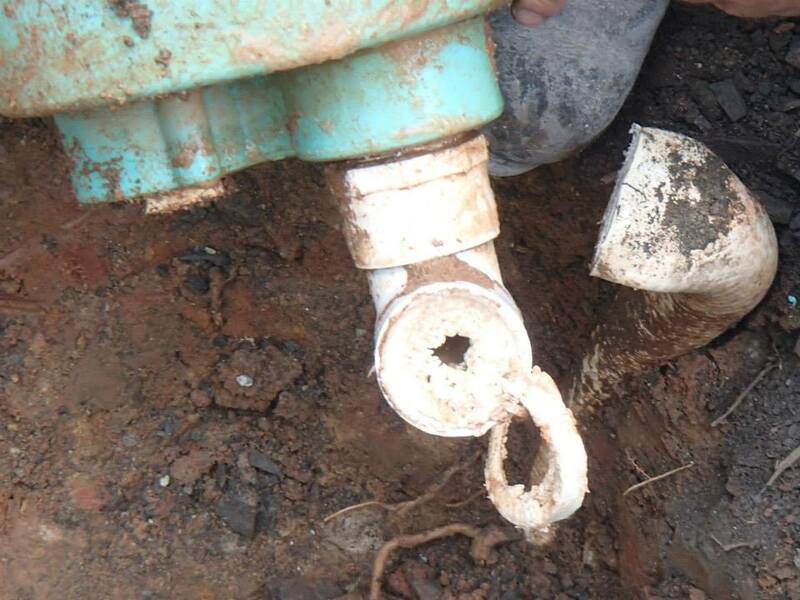 Replace the broken manifold, and put back together. 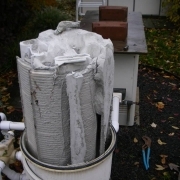 Solution: DE Filter Hose Out and Inspection Cleaned filter grid assembly, replaced damaged grids and damaged air bleeder valve. 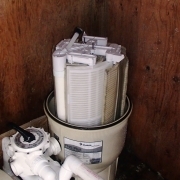 Chlorine tablets in the skimmer bucket using the skimmer as a chlorine dispenser. 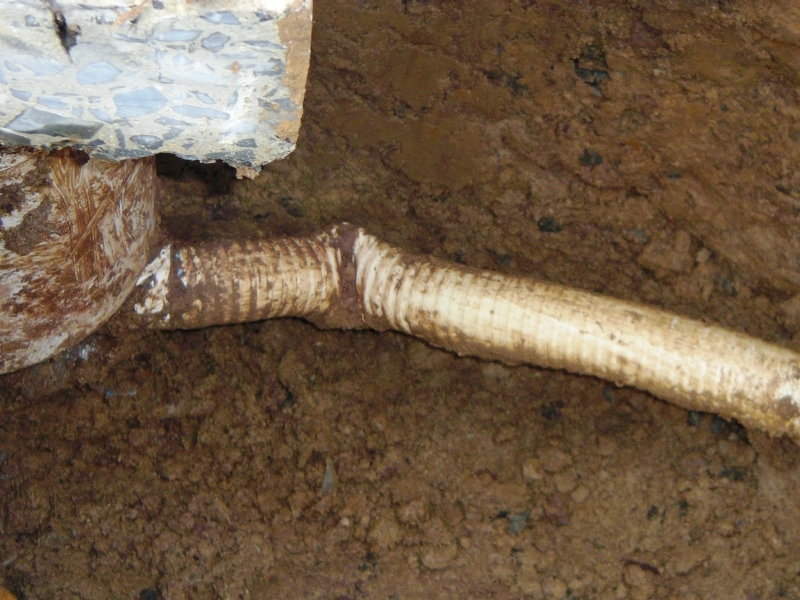 Problem - Collapsed skimmer plumbing line caused by using the skimmer as a chlorine dispenser. 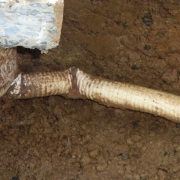 Problem - After the collapsed skimmer plumbing line was cut. 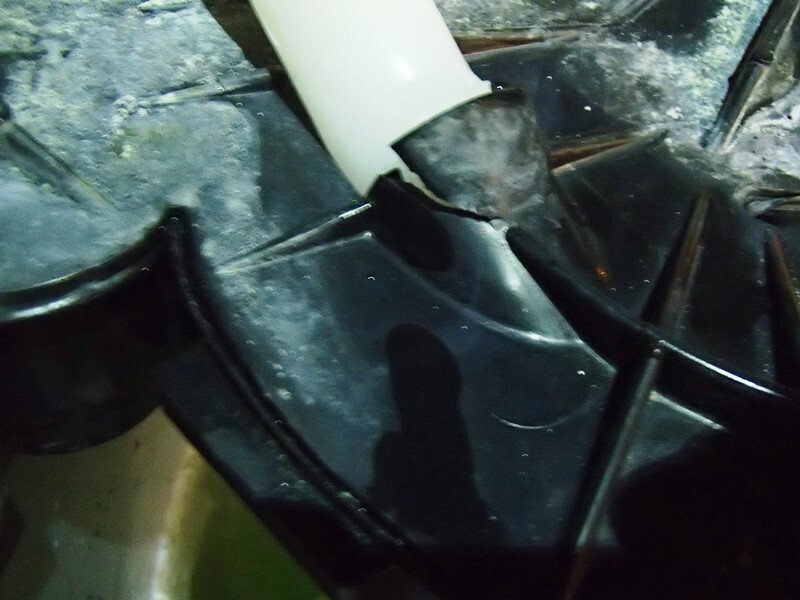 Inside the pipe that is attached to the skimmer bucket has extreme chemical damage due to putting chlorine tablets in the skimmer basket. 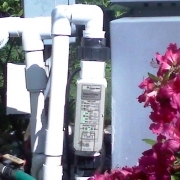 Solution - Two safe and convenient ways to add daily chlorine to your pool is to install an automatic chlorine feeder or a Salt Water Chlorine Generator at your filtration system. 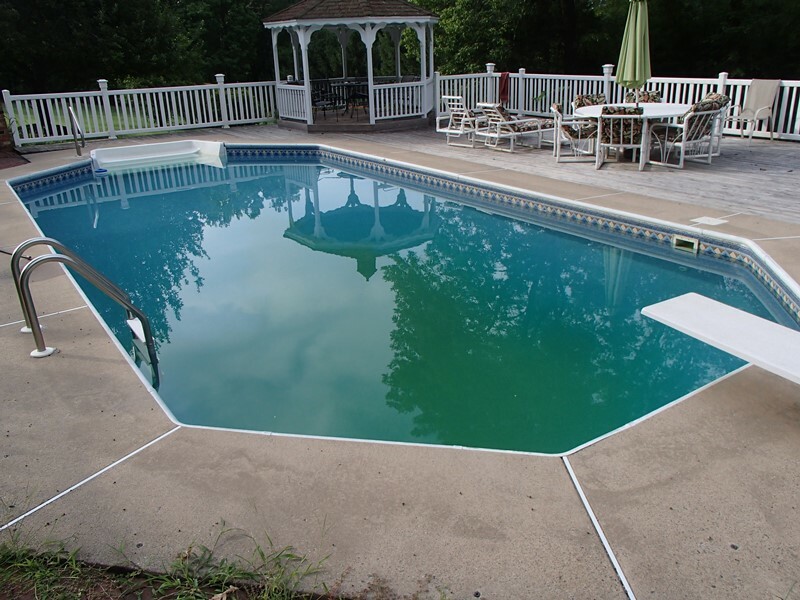 Problem - New liner prematurely fading from a chlorine floater due to a highly concentrated amount of chlorine trapped in the corner. 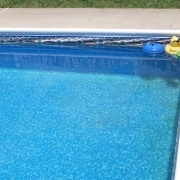 Problem - Liner damage from homeowner using 2 chlorine floaters trapped in the corner. 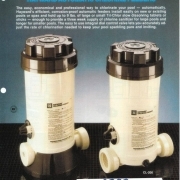 Solution - Replace your floater with an inexpensive automatic chlorine dispenser plumbed in at the filtration area. 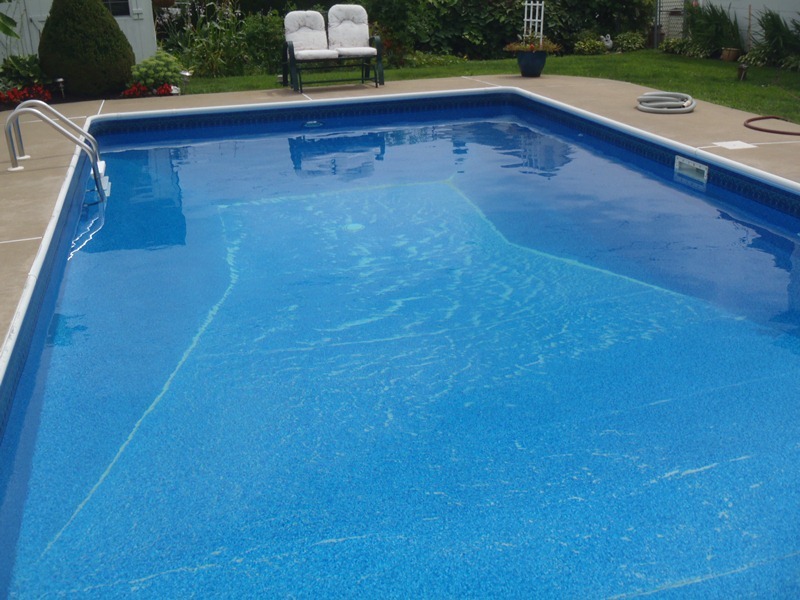 Another safe and convenient way to add daily chlorine to your pool is to add a Salt Generator System. 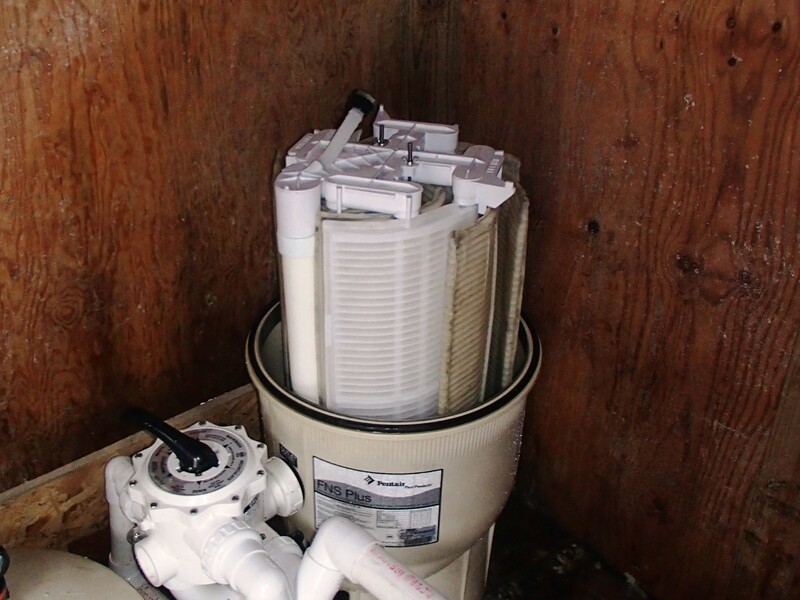 Solution - Replace your floater with a Salt Water Chlorine Generator plumbed in at the filtration area. 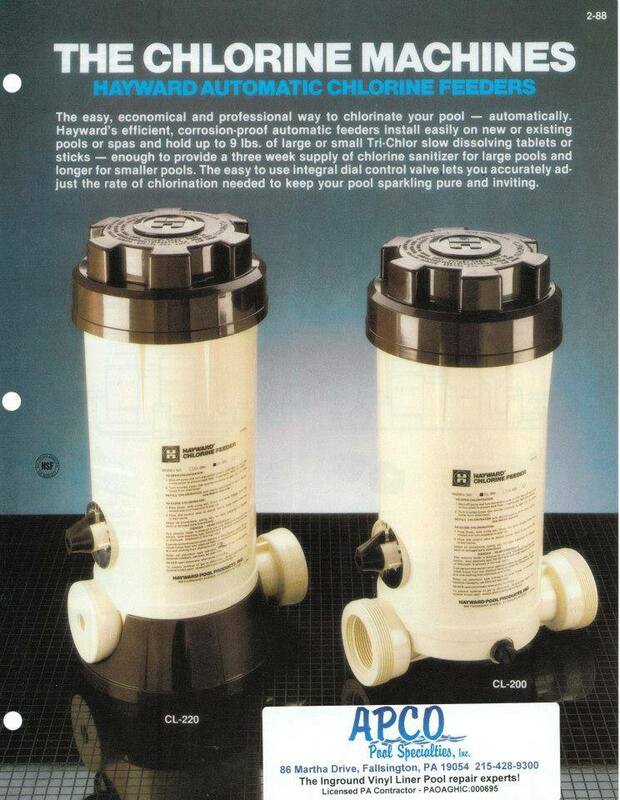 Another safe and convenient way to add daily chlorine to your pool is to add an Automatic Chlorinator. 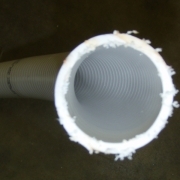 Problem - Warped Chlorinator O Ring Overtime Chlorinator O-Rings become warped and can cause the unit to leak. 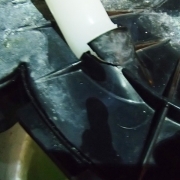 The O-Ring can also become sticky which will make the lid difficult to open. 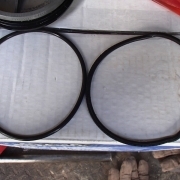 Solution - Recommend to keep a spare O-Ring handy and replace when necessary.